Japan has long been obsessed with pets. It was here where you could first take your dog or cat for a pedicure or a spa. Shortly after, gift shops for pets sprung up, followed by restaurants dedicated to feeding your pet specially prepared delicacies. The animals would be seated, whilst their human caregivers would be left outside. No joke. There are many a funeral home and cemetery for cats and dogs. 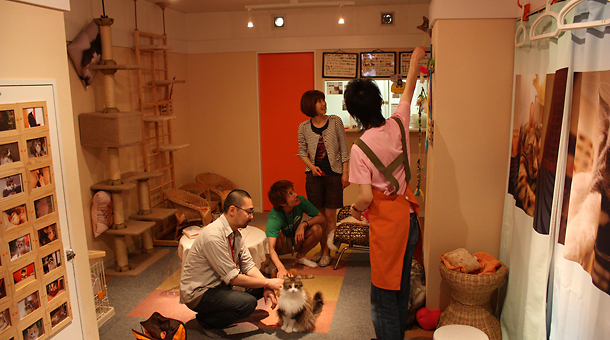 And now this: cat cafes.